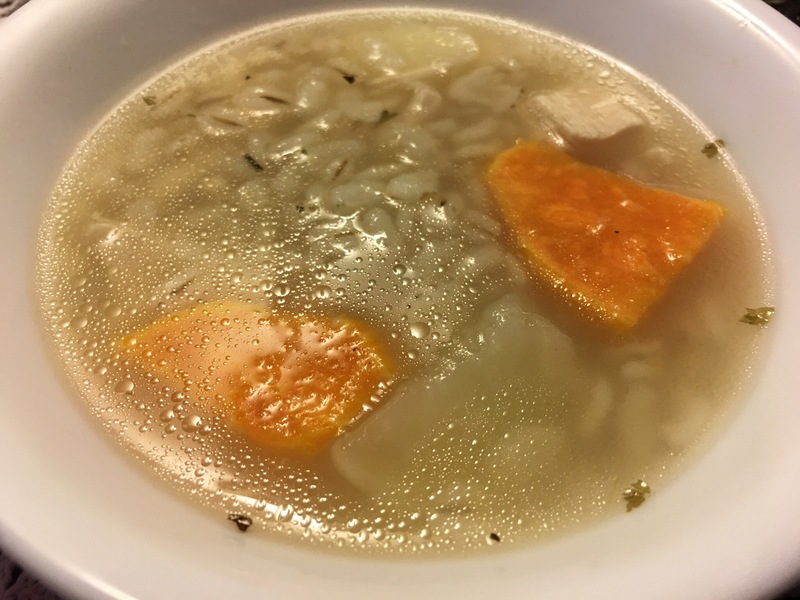 Rainy day chicken and barley soup – Hurried Home Chef! 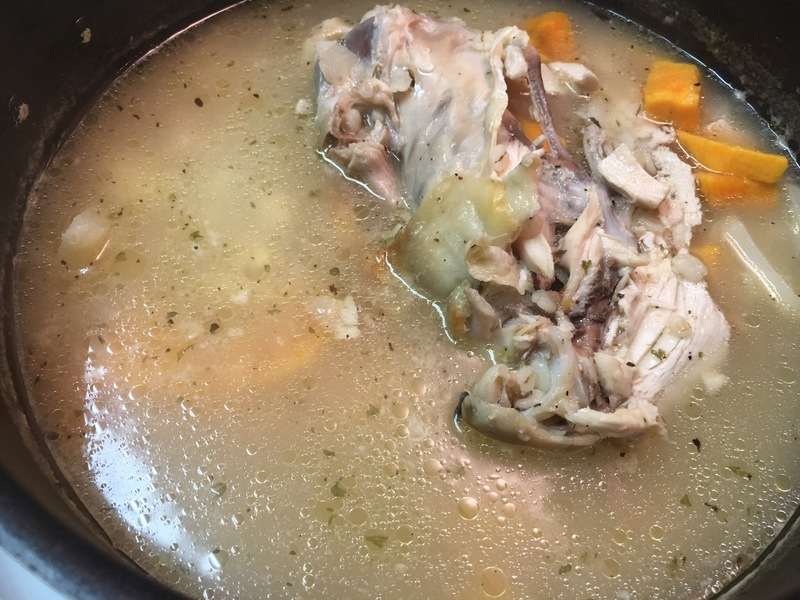 Soup isn’t just for the ill, it is great for those rainy days, weight loss, and for making a few ingredients go a long way and feed a lot of people. First I started with a rice pot full of water. You can use half water and half stock or all stock. Today I boiled water and added a chicken cube, a diced onion, a few garlic cloves, and about 1/4th of a habanero pepper. 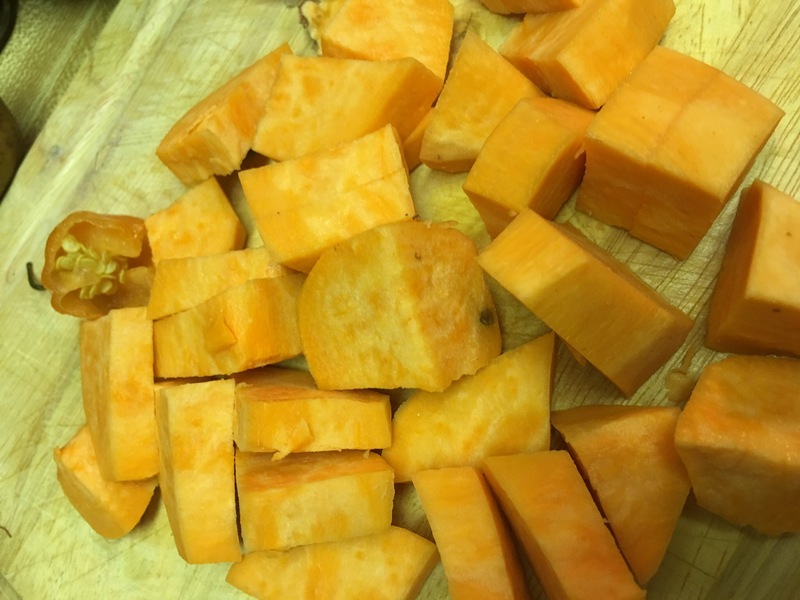 Boil this for about 10 minutes while you prepare. 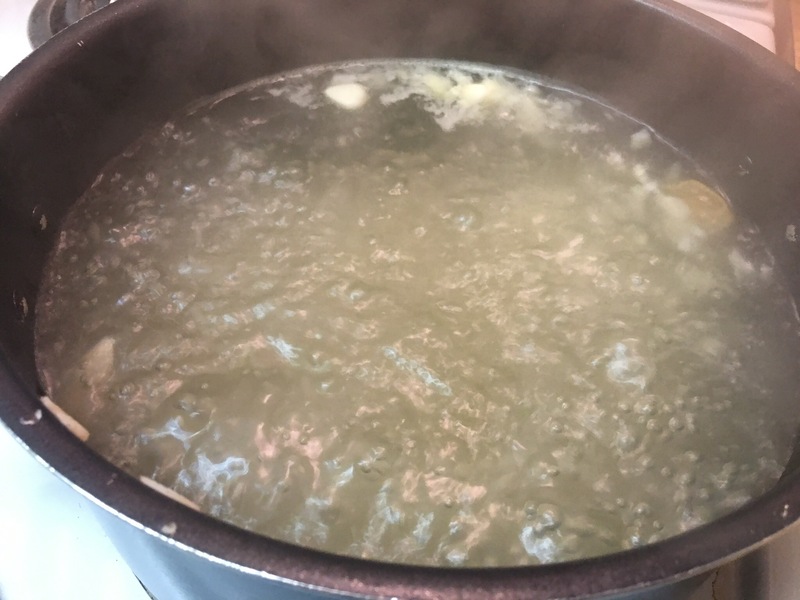 Then I add quick cooking barley, and boil for another 10-15 min. Meanwhile, dice a sweet potato and a white potato, whatever you want to add. I put the sweet ones in first, since they usually take a little longer to cook. Then add the white potatoes. 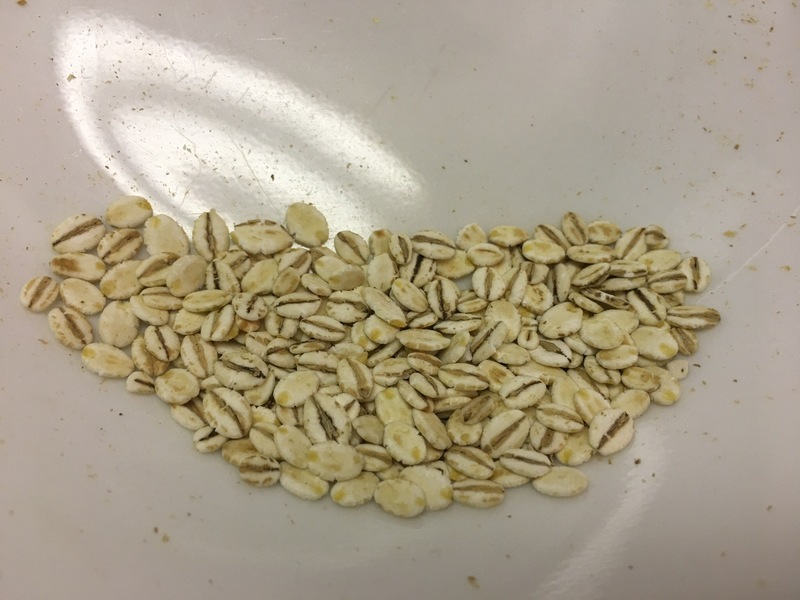 You can use 1-2 chicken breasts, either raw, by adding it whole so it poaches, then remove it, and dice. Or you can get a ready made rotisserie chicken and dice one of the breasts or whatever meat you want, and add. Fresh thyme is great, I do keep some frozen, but the one in the spice jar will do as welll, add about 1 tsp, you can also add parsley. 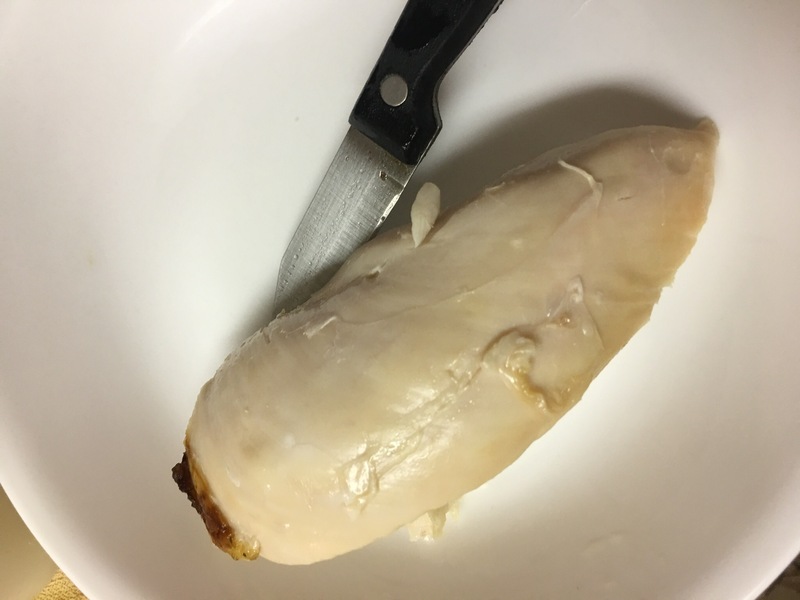 I cut the rest of the rotisserie chicken and put the entire thing in so it could boil a bit and loosen the remaining chicken. Add salt and black pepper to taste, once the potatoes are cooked thru, turn off the stove.